My choice of fragrances vary from time to time. Recently I have seen myself more inclined to fruity ones (read green apple). However, how can I keep myself away from zesty notes when its summer!! 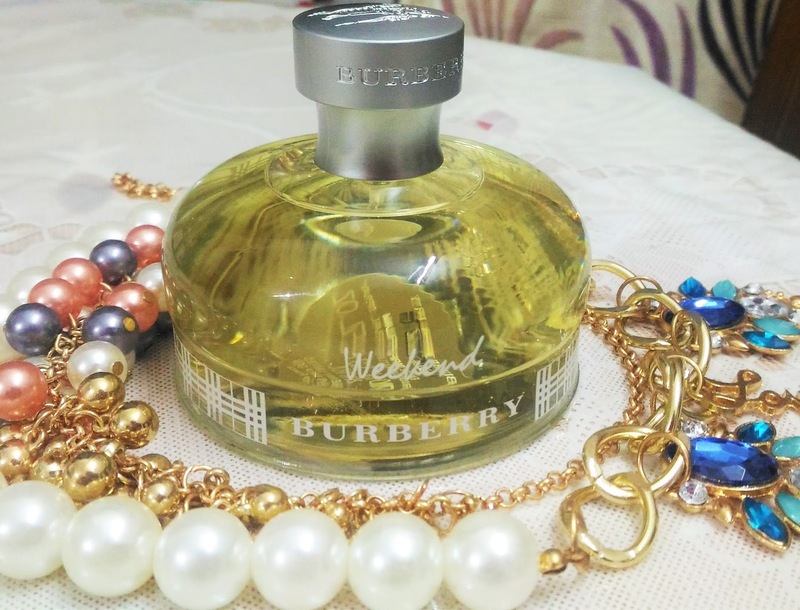 So, today I will talk about one of my latest conquers, Burberry Weekend Eau de Parfum. 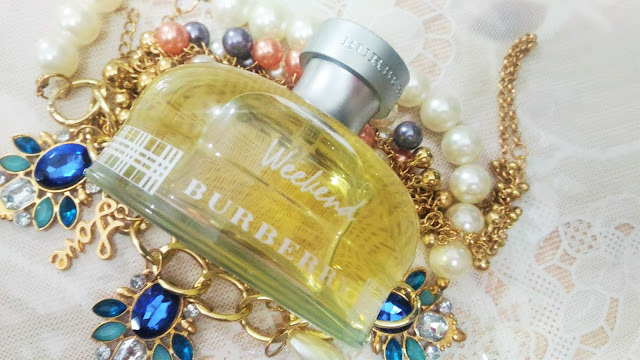 I find Burberry Weekend Eau de Parfum to be quite unique and independent when it comes to describing the scent. It is something that I have never found before. When you spray it, you get a very unusual blend of a sweet-bitter note, somewhat zesty yet somewhat woody. Slowly it turns to a floral burst, with a bit of rosy and peachy accent. The base is more of a musky one. To sum it up, Burberry Weekend Eau de Parfum is not for the ones who are more in to softer and milder notes; rather it is for the fiery women, who like to explore a variety of moods in one perfume. 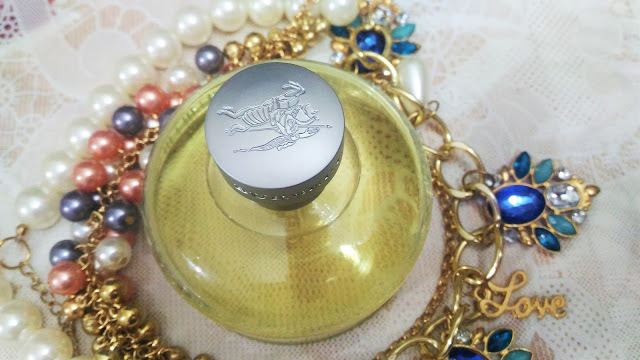 It is a splendid mixture of high spirited and energetic smells, strewn into a single scent. It brings out the inner explorer in you, and gives the vibe of a strong and independent woman, daring enough to go beyond her boundaries and accepting challenges of the known and the unknown. I am quite fond of the sturdy yet roundish packaging, a trademark of Burberry. 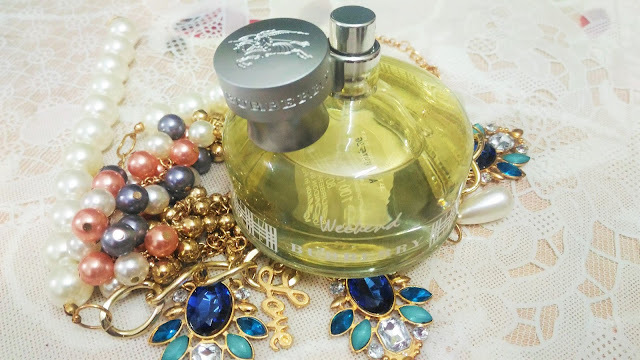 Burberry Weekend Eau de Parfum is a very long lasting one, and the musky note lingers around you for well throughout the day. The zesty freshness is energizing enough to prepare you for an awesome weekend trip to countryside. Yet, the musky undertone gives a serene feel. As I said, it is a punch of all good things, so actually, very difficult to put in words. You need to try it, to get the feel of the exotic extravaganza.